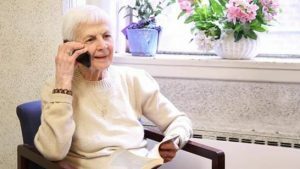 Volunteers needed to place calls to seniors who live alone and are isolated. “Tel-Check volunteers are my guardian angels”. If you are a good listener and care to speak with individuals who need support and to feel connected, the Family Counselling Centre wants to speak with you. For over 40 years volunteers have been providing telephone support to isolated seniors and individuals struggling with day to day life challenges in Sarnia Lambton. Skills Required: Good communicator/listener, non-judgemental. Activities: Social telephone call to seniors and persons with disabilities who are alone and isolated.